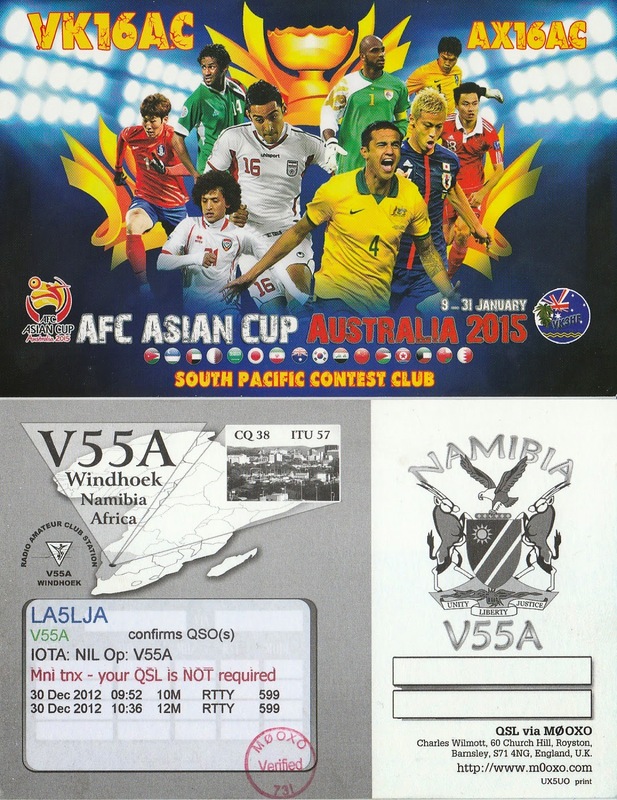 Qsl received V55A New one on rtty for me. VK16AC was worked on 10 mtr rtty, nice qsl card. More qso,s 7QAA : 20 30 40 cw, 10 15 17 rtty. More qso's 9Q0HQ : 15 cw and 20 ssb. Best qso this week was 9N7FD on 15 rtty ,New one rtty #220.